The South African activist and former president Nelson Mandela (1918-2013) has been an advocate for human rights his whole life. During his imprisonment, he was forbidden to write anything of political nature. He managed to smuggle out letters, statements, and a 500 page autobiography that continued to spark the anti-apartheid movement. 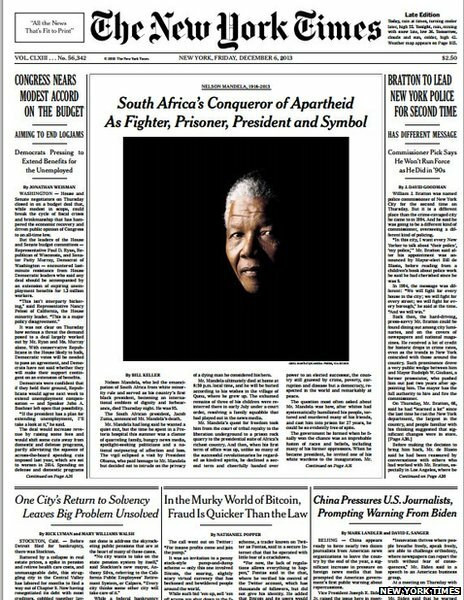 Mandela inspired millions including then-president Obama. "I am one of the countless millions who drew inspiration from Nelson Mandela's life," said a visibly moved Obama in a tribute where world leaders mourned his death.